The mystery seeds from last week were from a shoestring acacia, Acacia stenophylla. 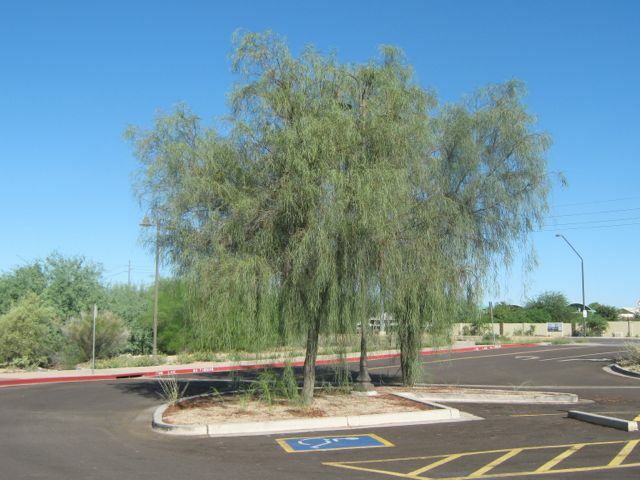 Originally from Australia, these trees have been planted in the Southwest as landscape trees. 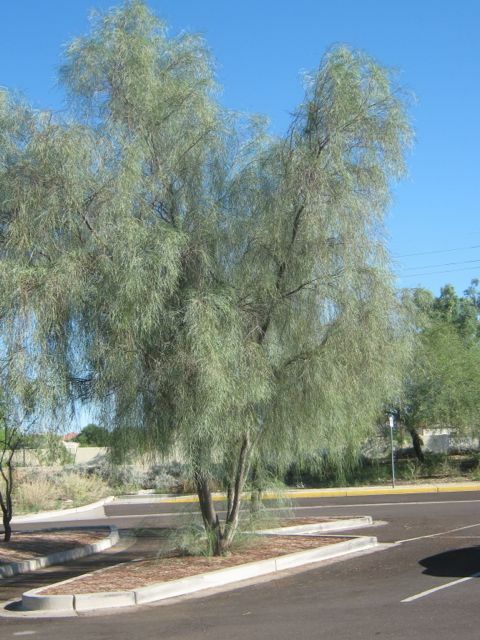 The trees get their name from the fact they have long, slender leaves that resemble shoestrings. 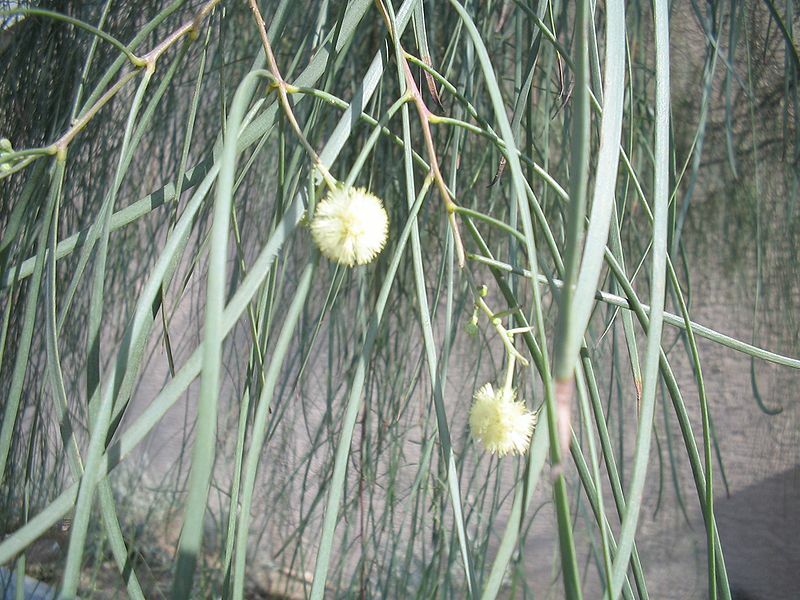 Their flowers are pale yellow, round puffs, common to most acacias. Although not too common, this tree is definitely becoming more popular recently. People like it because it keeps its leaves throughout the year and doesn't produce a lot of litter. It is also very drought tolerant. Do you have shoestring acacias where you live? Hello...we need a shade giving, low litter, fast growing tree about 3 1/2 m from our pool. Could you advise which of the following would be ideal please? Ps please could you notify me of follow up comments by email?